This is a fairly amusing tale from Brendan Rodgers, the Celtic boss who managed Liverpool between 2012 and late 2015. The Northern Irishman is known for his occasionally questionable soundbites, which have a way of following him round. We reckon this one might join the long list! 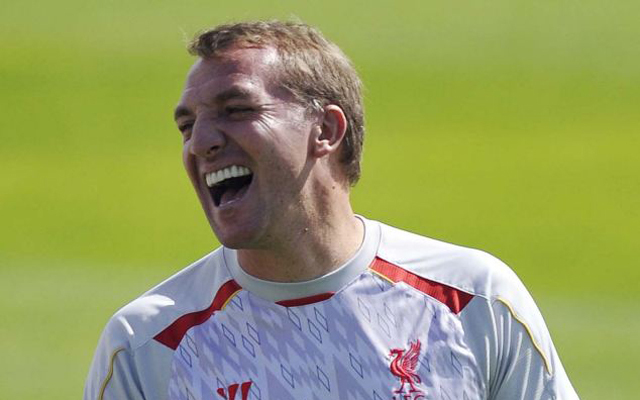 Rodgers told Celtic fans that he’s been devastated by a player’s departure just twice – Luis Suarez and… Dorus de Vries. Celtic have just signed the ageing Dutch stopper, who left Swansea to join Wolves in 2011 on a free transfer! Hardly comparable to Barcelona acquiring the world’s best striker for £75m! “I’ve been really, really disappointed twice in my career when I’ve lost players,” Rodgers began, reported by the South Wales Evening Post. “One was Luis Suarez at Liverpool and the first was Dorus (De Vries) on a free when he left Swansea, because he was such a key part of how I worked there. “For people that have seen him play for me at Swansea, it’s pretty clear what I like about De Vries. “For me, I need to have a goalkeeper that knows that when we are in possession of the ball that we have 11 players. So far in Scotland, Celtic have won their opening SPL fixture and navigated to the final qualifying round of the Champions League – and we really hope Rodgers does well. He gave his all for Liverpool and should be remembered for the excellent work he did during 2013/14 – the most exciting league campaign in our Premier League history.